Like everyone else, elite investors make mistakes. Some of their top consensus picks, such as Amazon, Facebook and Alibaba, have not done well in Q4 due to various reasons. Nevertheless, the data show elite investors’ consensus picks have done well on average over the long-term. The top 15 S&P 500 stocks among hedge funds at the end of September 2018 returned an average of 1% through March 15th whereas the S&P 500 Index ETF lost 2.2% during the same period. Because their consensus picks have done well, we pay attention to what elite funds think before doing extensive research on a stock. In this article, we take a closer look at PepsiCo, Inc. (NASDAQ:PEP) from the perspective of those elite funds. PepsiCo, Inc. (NASDAQ:PEP) was in 53 hedge funds’ portfolios at the end of December. PEP has seen an increase in hedge fund sentiment recently. 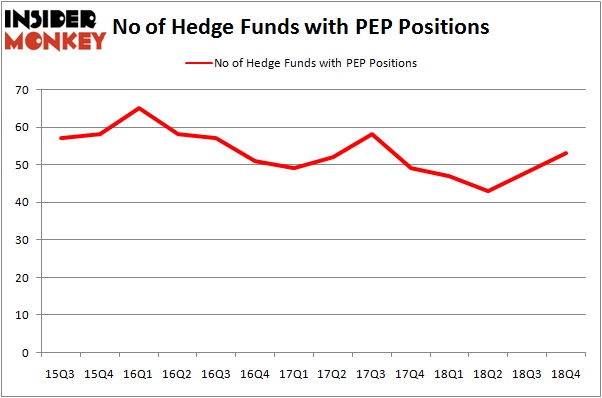 There were 48 hedge funds in our database with PEP holdings at the end of the previous quarter. Our calculations also showed that PEP isn’t among the 30 most popular stocks among hedge funds. Let’s review the recent hedge fund action surrounding PepsiCo, Inc. (NASDAQ:PEP). How are hedge funds trading PepsiCo, Inc. (NASDAQ:PEP)? At the end of the fourth quarter, a total of 53 of the hedge funds tracked by Insider Monkey were long this stock, a change of 10% from one quarter earlier. By comparison, 47 hedge funds held shares or bullish call options in PEP a year ago. So, let’s examine which hedge funds were among the top holders of the stock and which hedge funds were making big moves. The largest stake in PepsiCo, Inc. (NASDAQ:PEP) was held by Yacktman Asset Management, which reported holding $849.7 million worth of stock at the end of September. It was followed by Renaissance Technologies with a $804.3 million position. Other investors bullish on the company included Fisher Asset Management, Two Sigma Advisors, and AQR Capital Management. Now, specific money managers were leading the bulls’ herd. Point72 Asset Management, managed by Steve Cohen, created the most outsized position in PepsiCo, Inc. (NASDAQ:PEP). Point72 Asset Management had $115 million invested in the company at the end of the quarter. Panayotis Takis Sparaggis’s Alkeon Capital Management also made a $82.9 million investment in the stock during the quarter. The following funds were also among the new PEP investors: John Lykouretzos’s Hoplite Capital Management, Michael Kharitonov and Jon David McAuliffe’s Voleon Capital, and Clint Carlson’s Carlson Capital. Let’s go over hedge fund activity in other stocks similar to PepsiCo, Inc. (NASDAQ:PEP). These stocks are Comcast Corporation (NASDAQ:CMCSA), Unilever plc (NYSE:UL), AbbVie Inc (NYSE:ABBV), and McDonald’s Corporation (NYSE:MCD). This group of stocks’ market caps are closest to PEP’s market cap. As you can see these stocks had an average of 47.5 hedge funds with bullish positions and the average amount invested in these stocks was $2630 million. That figure was $4043 million in PEP’s case. Comcast Corporation (NASDAQ:CMCSA) is the most popular stock in this table. On the other hand Unilever plc (NYSE:UL) is the least popular one with only 13 bullish hedge fund positions. PepsiCo, Inc. (NASDAQ:PEP) is not the most popular stock in this group but hedge fund interest is still above average. This is a slightly positive signal but we’d rather spend our time researching stocks that hedge funds are piling on. Our calculations showed that top 15 most popular stocks among hedge funds returned 19.7% through March 15th and outperformed the S&P 500 ETF (SPY) by 6.6 percentage points. Unfortunately PEP wasn’t in this group. Hedge funds that bet on PEP were disappointed as the stock returned 5.5% and underperformed the market. If you are interested in investing in large cap stocks, you should check out the top 15 hedge fund stocks as 13 of these outperformed the market. Should You Buy The Boeing Company (BA)? Were Hedge Funds Right About The Coca-Cola Company (KO)? 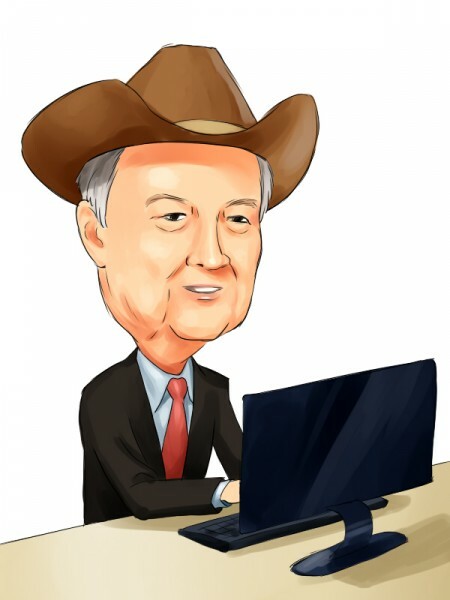 Here is What Hedge Funds Think About Cisco Systems, Inc. (CSCO) Were Hedge Funds Right About Novartis AG (NVS)? Were Hedge Funds Right About Merck & Co., Inc. (MRK)? Do Hedge Funds Love Taiwan Semiconductor Mfg. Co. Ltd. (TSM)?